For years, house price growth within the UK housing market has been on a steep upward trajectory. Housing experts have voiced concern over this rise, the recent data, and how it has affected the first time buyer group. First timers have been forced to wait and save or make the untraditional decision to pair with others and purchase with roommates. House prices thus far have been quite idle in their movement this year according to the most recently released housing data. According to housing market data, house prices fell 1.6% in the year to January in the capital city. London house prices have been skyrocketing in recent years, but this data indicates a combination of factors is affecting housing costs in the city like few other things in recent years. Brexit uncertainty for starters has had massive impact on consumer optimism and their action in purchasing property. Housing experts are cautious in their forecasting at this time due to so many issues remaining up in the air regarding the historical vote which took place two years ago. The possibility of increased interest rates is also making an impact on falling house prices. Sales have been on the decline for a few months as well, according to data from the Office of National Statistics. The buy to let sector has also been struggling which is affecting demand for property. This is another factor combining with everything else which is negatively affecting housing prices. 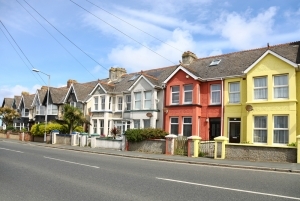 Housing prices are predicted to bounce back in due time, according to those close to the housing market, but only after the uncertainty of Brexit straightens out.